Pioneers in the industry, we offer architectural fencing from India. Our provided Agriculture Fencing is manufactured by making use of quality assured raw-materials and innovative technology in tune with market standards. This is widely used for restricting entry of people in danger zone. Apart from this, our clients can avail this fencing from us at nominal prices. 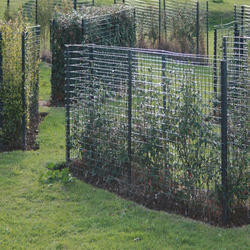 Looking for Architectural Fencing ?